Put your ear to the ground and you can almost hear the bulls stampeding. The Dow closed above 12,000 Tuesday for the first time since June 2008. The Dow is up 4 percent this year after increasing 11 percent in 2010. The Standard & Poor 500 is also up 4 percent this year, and the Nasdaq index, up 3.7 percent. “The U.S. economy is back!” says a prominent Wall Streeter. Corporate earnings remain strong (better-than-expected reports from UPS and Pfizer fueled Tuesday’s rally). The Fed’s continuing slush pump of money into the financial system is also lifting the animal spirits of Wall Street. Traders like nothing more than speculating with almost-free money. And tumult in the Middle East is pushing more foreign money into the relatively safe and reliable American equities market. It’s simply wonderful, especially if you’re among the richest 1 percent of Americans who own more than half of all the shares of stock traded on Wall Street. Hey, you might feel chipper even if you’re among the next richest 9 percent, who own 40 percent. 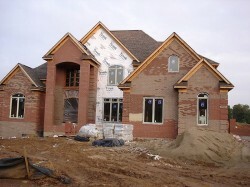 New-home construction dropped in December to its lowest level in more than a year as the feeble housing sector ended 2010 on a weak note. Private building of new homes dropped 4.3% in December from a month earlier to a seasonally adjusted annual rate of 529,000—the lowest level of housing starts since October 2009, the Commerce Department said Wednesday. The construction industry continued to stumble last year even as economic growth picked up and private-sector job creation returned. 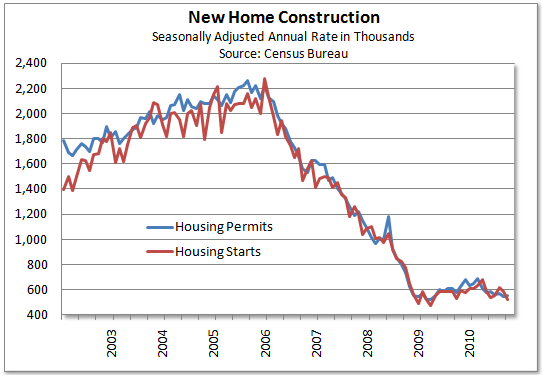 Housing starts ended the year 8.2% below December 2009 and there’s little sign building will pick up early this year. I Warned That Banks Will Soon Be Forced To Walk Away From Homes… Guess What! Without an economic incentive to foreclose, it would not be in the bank shareholders best interests to pursue foreclosure even though borrowers clearly defaulted & owe money to the lender. 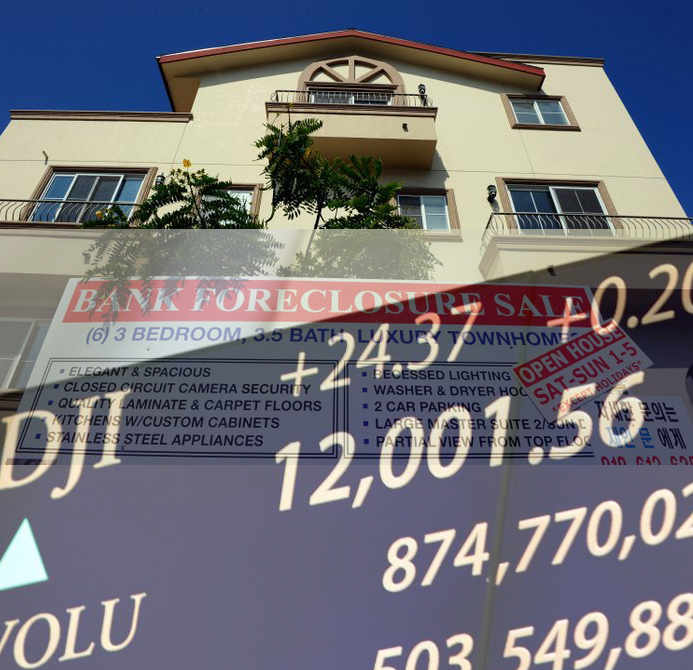 The economics of distressed assets in mortgage and commercial banking are quickly changing. I am quite open to discussing this in the mainstream media if any are interested in hearing the “Truth go Viral!” I want all to keep this in mind when pondering the release of reserves by the banks. This was taken by many readers as sensationalist and unlikely. As a matter of fact, much of my writing is taken in a similar way, most likely due to the fact that I have an uncommon proclivity to state things exactly as I see them, sans the sucrose patina. This is not a pessimistic (bearish) outlook, nor an optimistic (bullish) outlook. It is simply called, the TRUTH! Realism! Something that is increasingly hard to come by in these days of media for a purpose and embedded agendas. You see, the United States, much of Europe, and China have sever balance sheet issues that are ravaging their respective economic prospects. The media, analysts, and investors are gingerly mozying along as if this is not the case. Well, no matter how hard you ignore certain problems, no matte how hard you try to kick the can down the road – the issues really do not just “disappear” on their own. With these points in mind, let’s peruse this piece I picked up from the Chicago Tribune: More banks walking away from homes, adding to housing crisis blight: the bank walkaway. Research to be released Thursday, the first of its kind locally, identifies 1,896 “red flag” homes in Chicago — most of them are in distressed African-American neighborhoods — that appear to have been abandoned by mortgage servicers during the foreclosure process, the Woodstock Institute found.